“How was it? Did you enjoy?” was Jenny De Vera’s question when we met by the entrance of a car park from across CCP on our way home last night. Jenny is a member of GuitarFriends, a group whose mission and vision is to promote awareness, knowledge, understanding and appreciation of the classical guitar and its music. It is the same group that organized this festival and competition that runs from 27-30 January 2011 at the Cultural Center of the Philippines (CCP) Little Theater. I am participating as an observer. Korupol Mitrevej, Jenny de Vera and I. “Is it worth the festival pass?” was Jenny’s third question. I attended Randall Williams’ workshop on partial capo. I did not know anything about capo and it was my first time to hear lectures on capo, types of capo, and their uses. I had a hard time following his lecture. But Randall had a deep, full, and beautiful voice. He sang to accompany his demonstrations of some of the capo techniques I wished he sang more than he talked about the capo. 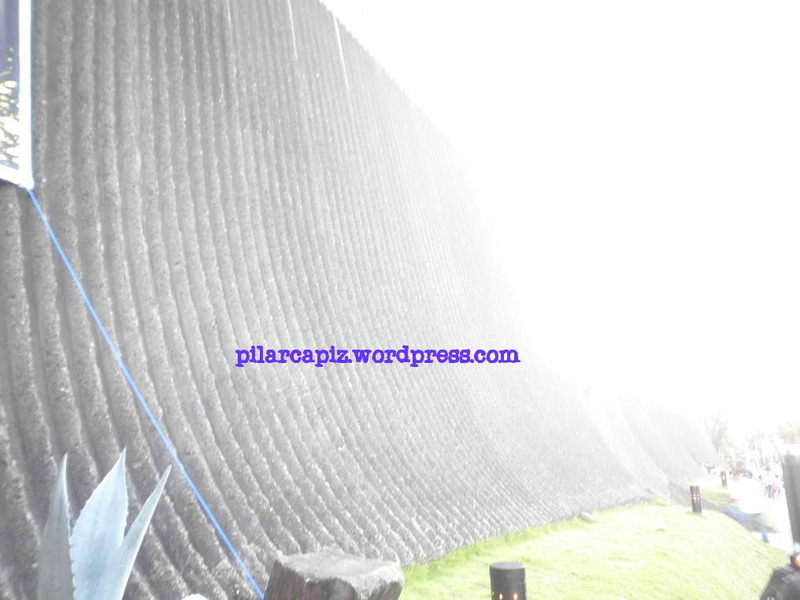 I watched Alex Garrobe perform in a concert on the same day (27 January 2011) I heard Randall Williams. And yesterday from 10am to 12pm, I was also in the front seat of Alex Garrobe’s advanced master class where three students namely, Rachael, Jeff, and Kurt performed. Jeff later played the same piece in the contest. Engr. 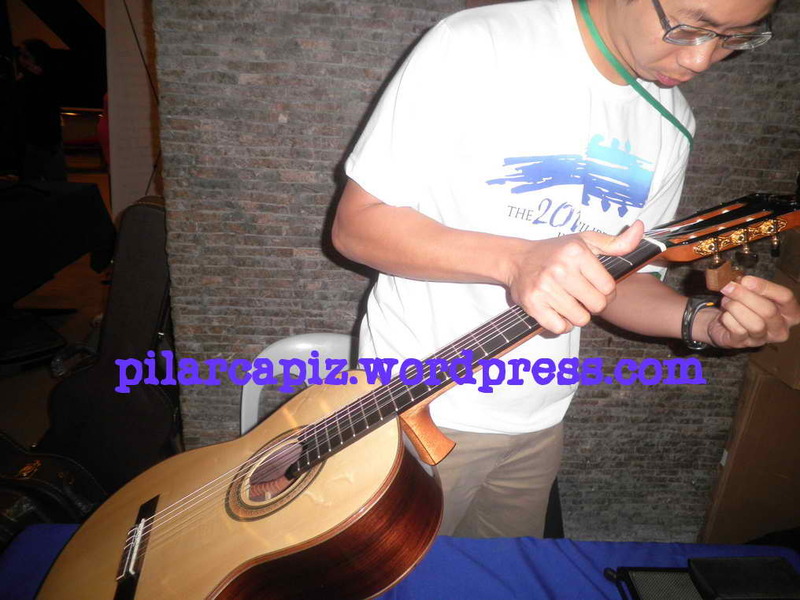 Sira Tindukasiri trying Pansaeng Chantarangkul's $2,000 classical guitar. Note a.k.a. Patommavat Thammuchard looks on. Most of my time during breaks, I spent talking with Pansaeng Chantarangkul, a 35 year-old-ex-factory-worker-guitar maker from Thailand. He only has one classical guitar for display and every one who tried it showered him with praises because of the crisp sound of his guitar. Yesterday, he introduced me to three more of his countrymen who participated in the contest. 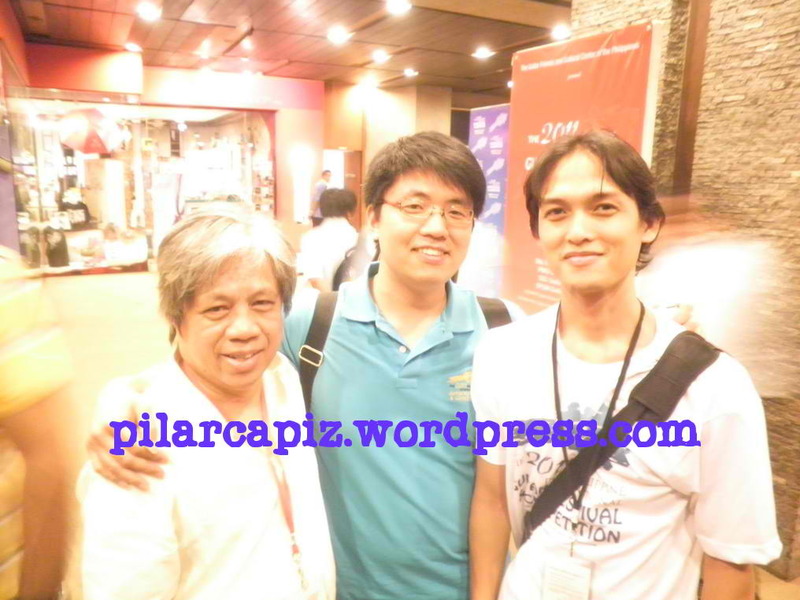 One of them, Sira Tindukasiri, is a civil engineer and contractor in Thailand. His company, Payoongsidhi, ltd. is engaged in building bridges in his country. Then there is Note whose full name is Patommavat Thammuchard, and another Thai, Korupol Mitrevej. Both Note and Korupol became two of the 8 finalists of the guitar contest that started yesterday afternoon. They will perform for the second and final round tomorrow, Sunday, 30 January 2011 from 1 to 5 pm. 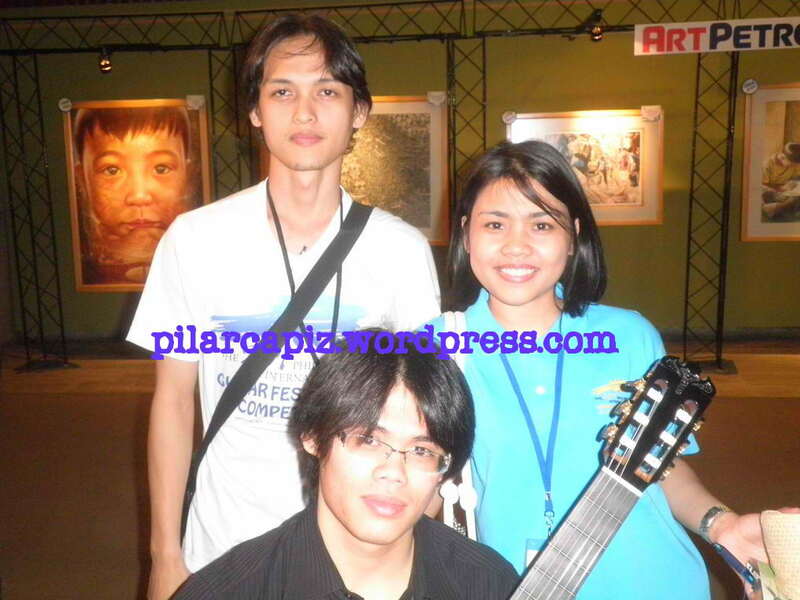 I met and talked in person with Michael Dadap who first introduced himself to me in my blog as a Filipino classical guitarist based in New York. I thanked him for his comment in my very long article about the UST’s First International Guitar Festival and I apologized that for his comments, he received a lot of insults from people who did not use their true names in the internet. He said he was not able to return to my website again after posting his comment to my article. He was not aware of the insults. But every body is entitled to his opinion so he will not take them personally. But he stands by what he said in his comment in my article. 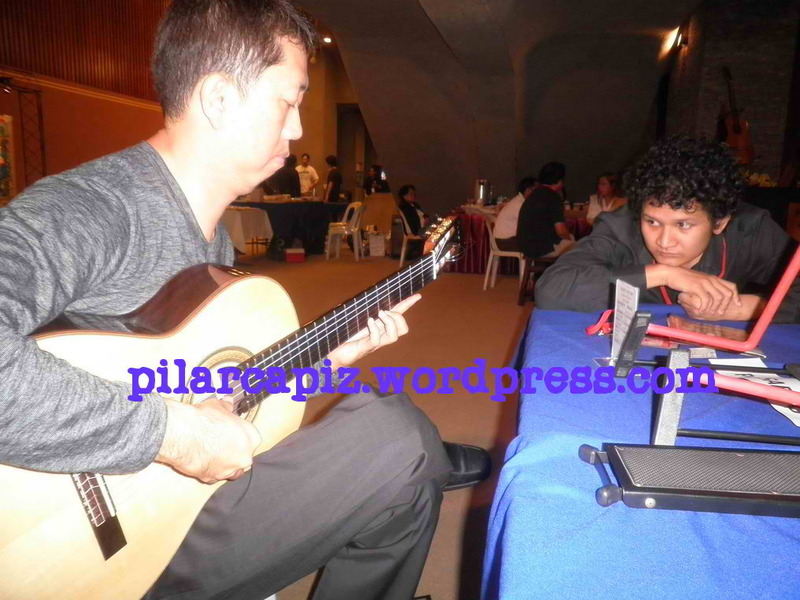 There was also Steve Lin, a Taiwanese classical guitarist based in US. I wasn’t allowed tonight to reenter the theater after I took a break from Tomonori Arai’s concert. In order not to miss him play, I watched through the TV monitor outside the theater Tomori’s performance. Steve Lin was beside me, said hi and asked how I was. After the concert, I found him playing the guitar in the lobby. I sat on the empty chair next to him to watch and listen to him play. Then later, Steve practiced his surprise number for his part in today’s concert. This is all for now. Today will be another exciting day at the festival. Let us see if I can also write about today’s experience tonight. I intent to write a more detailed account of my experience after the festival. To Jenny, I say again, yes. It’s all worth it. Nice post! thanks for sharing ^^ I was there too—- but not as a student but just as a guitar enthusiast ^^ My family and I attended the 27thJanuary concert of Maestro Michael Dadap, Steve Lin and the Guitar Friends. It was really a wonderful night for us.